Russian Foreign Minister Sergey Lavrov has said in an interview he will probably be in contact with US Secretary of State Rex Tillerson soon, and is expecting to discuss the situation in Ukraine, bilateral relations, and other major international issues. Commenting on the situation in Ukraine with Russian channel NTV, Lavrov said he sees no alternative to the package of measures in the Minsk agreement. “The Europeans, and hopefully the Americans, will confirm this,” he said. “I say ‘hopefully’ because the US team that will deal with Ukraine has not been formed yet,” he added. Lavrov hopes the US State Department officials with whom it will be possible to discuss the situation in Ukraine and Syria will be appointed soon. “This process takes some time, because the entire Obama team at the US State Department left the place at their own initiative, as they stated. Now there are some career diplomats left there, with no bosses. Rex Tillerson, as a new person in this field, is now plunging into the details of the problems [we’ll] have to work on. I’m sure that this process will be completed fairly quickly,” Lavrov said. “But the key deputies have not been appointed yet, and the key areas of the foreign policy haven’t been mapped out either,” he added. 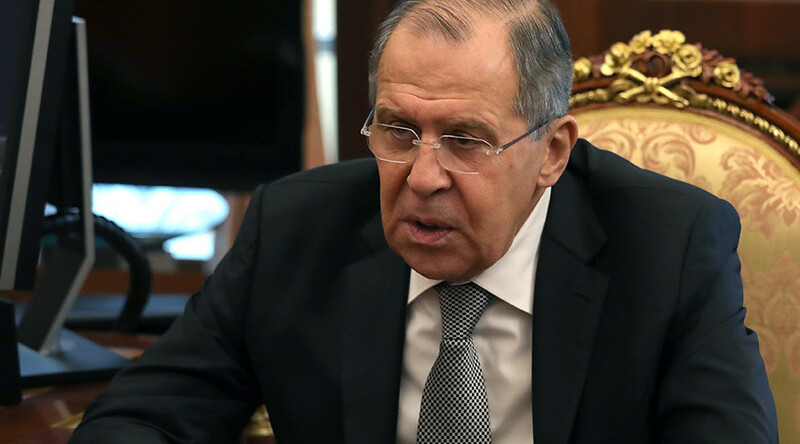 The critical situation in Donbass has been provoked, among other factors, by Ukrainian volunteer battalions that are not controlled by the Ukrainian Army, Lavrov said. “Despite an agreement on a cease-fire declared a few days ago, and on the withdrawal of heavy weapons into places where they should be in accordance with the Minsk agreements, completely opposite messages arrive on a daily basis: that the Ukrainian side, the armed forces of Ukraine, are increasing their divisions and heavy weapons near the contact line and in residential areas in flagrant violation of all that was negotiated and what the president of Ukraine, Petro Poroshenko, and his representatives have signed on to,” Lavrov said. Attempts to appeal to the conscience of the Ukrainian authorities are a waste of time, Lavrov believes. “What Ukrainians, including [the Minister of Foreign Affairs of Ukraine Pavel] Klimkin, publicly expound every day demonstrates that they want to force themselves in a Russophobian corner, from which it will be impossible to get out,” he said. Lavrov believes that Ukraine needs to get back to the idea of decentralization – an idea that had already been approved at the ministerial level by the US, EU, Ukraine, and Russia by April of 2014. The conflict in eastern Ukraine broke out in 2014, when two regions rejected a nationalist-driven armed coup in Kiev that imposed a new government, hostile to Moscow. The new authorities launched a military crackdown, triggering a bloody conflict that has claimed the lives of more than 10,000 people. The latest major outbreak of violence, which began at the end of January, has seen intense fighting around the town of Avdeevka, which is located close to the disengagement line between pro-Kiev forces and the rebels in the east, as well as the shelling of the city of Donetsk. 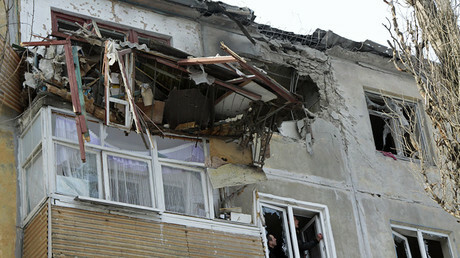 The renewal of hostilities was allegedly caused by an attack from Ukrainian paramilitary units supported by the army. In the early hours of February 3, Donetsk was heavily bombarded by the Ukrainian military “with heavy guns, including ‘Uragan’ and ‘Grad’ multiple rocket launchers,” Russian Foreign Ministry spokesperson Maria Zakharova said.